Taiwan based Advantech Co. has posted an introductory product page for a SOM-5871 module that appears to introduce the long-awaited next generation of AMD’s embedded R-Series SoC line. The R-Series is based on the same 14nm Zen Core already used in higher-end Ryzen SoCs. The new SoC is introduced as the “AMD Zen CPU Core” on the product pages and is called the AMD V1000 SoC on this Advantech COM Express teaser page. According to the Advantech SOM-5871 product page, the AMD V1000 supports a core/thread of “2/4/8”. 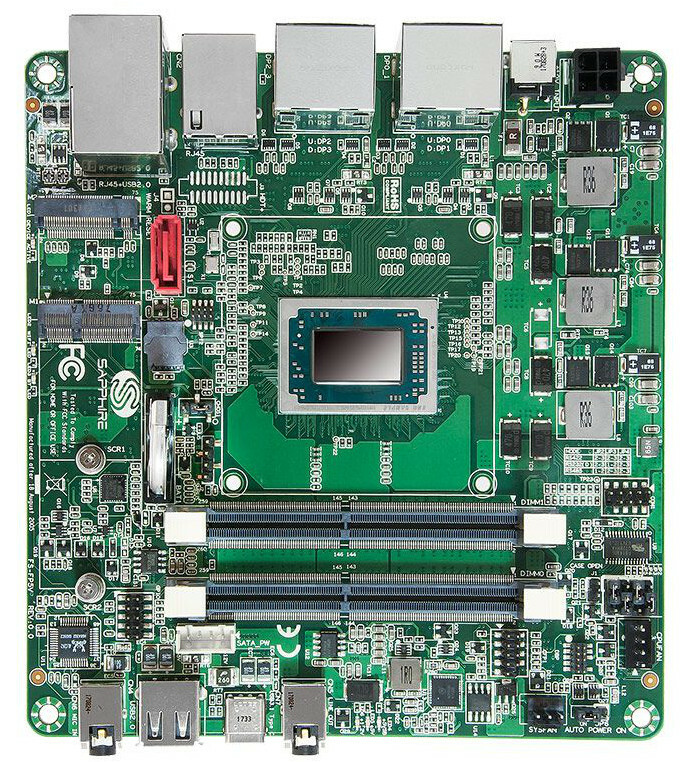 This obscure listing could mean it supports both dual-core, quad-threaded and quad-core, octa-threaded models, which are the configurations listed for the iBase Mini-ITX SBC. The iBase board also had the same memory support as Advantech’s SOM-5871. They both have up to 32GB of dual-channel DDR4-2400/3200 with optional ECC support. Advantech also lists the SoC can have 1MB or 2MB cache, a 12-54W TDP, an integrated I/O chipset, and an SPI-based AMI 64MB BIOS. No clock speed information is available yet of this SoC. On the other hand, the Vega GPU embedded in this SoC has 11 compute units clocked at 1.5GHz and supports H.265 decode and encode and VP9 decode. The Vega also supports DirectX 12, EGL 1.4, OpenCL 2.1, OpenGL ES 1.1, 2x, and 3x, as well as OpenGL Next/OpenGL 4.6. 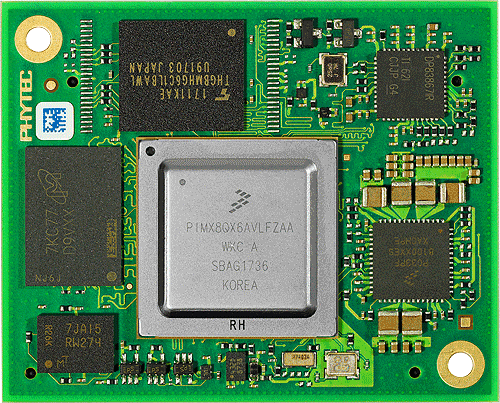 The SOM-5871 module supports 4K video as well as four independent symmetrical displays. No OS support information was mentioned for Advantech’s board. Most probably Linux and Windows support are available for SOM-5871, but the module is said to support the company’s iManager, WISE-PaaS/RMM, and Embedded Software APIs. 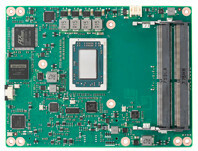 In addition to the specs remarked above, the 125 x 95mm SOM-5871 Type 6 Basic module comes with dual GbE controllers (Intel I210 AT and I210 IT) and dual 6Gbps SATA III interfaces. 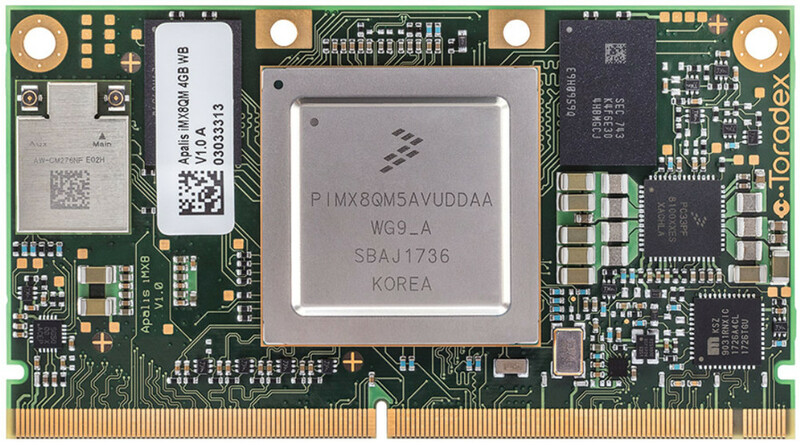 No pricing or availability information was provided for Advantech’s introductory SOM-5871 module or the iBase Mini-ITX and embedded signage PC products. More information may be found at Advantech’s SOM-5871 product page.